We are fortunate that the tradition of composers being inspired by and writing for soloists continues to this day; twentieth century examples include violin concertos written for David Oistrakh by a vast range of composers including Prokofiev and Shostakovich, and a similar collection of cello concertos for Mstislav Rostropovich. The late former conductor of the MSO John Wilbraham had a number of trumpet concertos dedicated to him, including that of Malcolm Arnold, and Benjamin Britten wrote his Serenade for tenor, horn and strings for possibly the finest-ever exponent of the Mozart horn concertos, Dennis Brain, whose cadenzas will be played tonight. One of the greatest artistic partnerships in musical history reached the last of its great trio of operas with the composition of Cosi fan Tutte (‘Thus do all Women’) in 1790. Mozart had met Lorenzo da Ponte at the home of Baron von Wetzlar in Vienna in 1783 and the two were immediately intrigued by each other’s genius. Da Ponte was Court Poet to Emperor Joseph II in Vienna and his duties included writing operatic plays (libretti) for Court Composer Antonio Salieri, who had introduced him to the Emperor; we have become familiar with a version of the rivalry between Salieri, a workaday composer who nevertheless retained the Emperor’s favour, and Mozart, the maverick genius, through Peter Shaffer’s play Amadeus, which of course became an Oscar-winning film in 1984. Following the huge, overtly subversive success firstly of Figaro (1786) then Don Giovanni (1787) da Ponte wrote a third Italian Opera Buffa (comic opera) libretto, probably on his own initiative rather than having been commissioned, and, it is thought, nevertheless showed it first to Court Composer Salieri, who made an attempt but gave up. 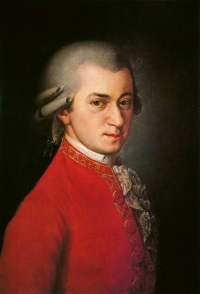 Mozart took on the project in1789 and the opera was premiered on 26 January 1790 in the Burgtheater in Vienna. Unfortunately, its initial run was curtailed after only five performances by the death of the Emperor. A handful of further performances followed that summer after the period of national mourning, but after that the opera was not performed again before Mozart’s death on 5 December 1791. Figaro and Giovanni had covered controversial subjects, and Cosi was no exception; its action concerns a scurrilous, and nowadays unacceptable, wager between Don Alfonso and two military officers, Ferrando and Guglielmo, that within a day he can prove that no woman can stay faithful to her lover. Ferrando and Guglielmo confidently challenge the bet, agreeing that they will feign being called up to war but reappear almost immediately in what they hope will be impenetrable disguise and woo their own lovers, Dorabella and Fiordiligi. They duly return disguised as full-bearded Albanians and begin the wooing; the ladies’ maid Despina is bribed into helping with the plot by Don Alfonso, and, sadly, the ladies within a short while agree to marry, unwittingly, each other’s original lover. Finally, Ferrando and Guglielmo engineer their return in part-disguise and the ladies realise how they have allowed themselves to be tricked. All is put right, with each sadder and wiser in realising that they have, in the end, at least coped with life’s vagaries. The opera contains many musical gems, perhaps the most sublime being Soave sia il vento (May the wind be gentle), a vocal quintet, including Alfonso, sung as the officers leave their lovers for the ‘war’. Before the resolution of the opera the three men bitterly reiterate the Cosi fan tutte motto, which appears twice in the overture, first as the forte chords at the end of the introduction, and again just before the coda. The body of the overture comprises busy, conspiratorial material in the strings – in similar style to the opening of Coriolan – which is complemented in the woodwind and punctuated by military fanfares in the full orchestra. One interesting sidelight: Mozart was constrained to write the role of Fiordiligi for da Ponte’s mistress Adriana Ferrarese del Bene, whom he disliked; apparently, according to the 20th century critic William Mann, it was her habit to drop her chin on low notes and throw back her head on high ones, so Mozart filled her showpiece aria Come scoglio (Like a rock) with constant leaps from low to high to low with the result that in singing the aria her head bobbed up and down like a chicken! Many composers in the nineteenth century were to be inspired by Shakespeare, from Berlioz (Beatrice and Benedict, Romeo and Juliet), to Tchaikovsky (Hamlet, another great Romeo and Juliet,) to Verdi (Falstaff), and it might be thought that Beethoven’s Coriolan was an early example, drawing on the harrowing tale of the Roman Coriolanus, whose revolt against the Roman establishment had resulted in tragedy, but in fact his inspiration was a play written in 1802 by an Austrian Civil Servant, one Heinrich Joseph von Collin, a friend of the composer but – somehow – unaware that Shakespeare had written his version in 1607. The source for both plays was the true story of Caius Martius as told in Plutarch’s Lives of Noble Greeks and Romans; some five hundred years BC, he rose to fame by sacking the Volscian city of Corioli, enemy of Rome, and was honoured with the name Coriolanus and the status of Consul, but then through arrogance lost the loyalty of the Roman Senate and people and defected to the Volscians. Intent on destroying Rome, in both plays he is persuaded against an attempt by his mother Volumnia; however, in Shakespeare’s play the Volscians perceive his betrayal as treason and murder him, whilst in Collin’s Coriolan is stricken by remorse at his failings and takes his own life. Collin’s play was first performed on 24 November 1802 in Vienna and remained current for some three years, but a brief single-performance revival in 1807, possibly to try Beethoven’s overture as a prelude to the play, was eclipsed by a rising tide of admiration throughout Germany for Shakespeare’s version, and Collin’s play disappeared virtually without trace. Beethoven, fascinated firstly by the conflicts of loyalty which faced Coriolanus / Coriolan and the personal flaws which proved his downfall, and secondly by the relationship between the Consul and his mother, decided to write the work despite the fact that no further performance of the play was officially planned; there was no commission and there would be no incidental music, unlike the circumstances surrounding the composition of his music for another political play, Egmont, two years later. Thus, in effect, Coriolan was written as a stand-alone concert item, and its gravitas and subject-matter raise it to the status of an early tone-poem in all but name. 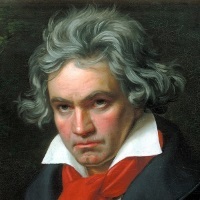 Beethoven clearly also identified with Coriolan’s anger and desperation, his deafness, which had caused him to contemplate his own suicide in 1802, having by 1807 become almost complete. The work, in the tragic key of C minor, could scarcely begin more dramatically or with more searing intensity; the strings then set off a darkly conspiratorial figure which will pervade much of the piece. 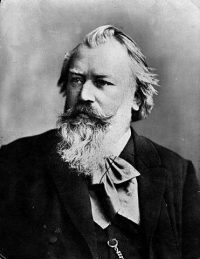 Two species of muscular tied rhythms fight each other – one imagines that Brahms must have admired this piece as these passages surely presage similar muscularity in the later composer’s symphonies and piano concertos. A lyrical theme depicts Volumnia’s pleading with Coriolan to avoid attacking Rome, but music of complete defiance soon dismisses it. More conspiracy ensues with lower strings and bassoon working away underneath, but once again this is rudely thrown aside. The structure of the piece is sonata form; the exposition of the material to date leads to a development and then a recap, before the crisis is reached and the opening string theme is unravelled in desolation by the cellos as Coriolan’s life ebbs away. In 1790 Haydn’s tenure as Kapellmeister at the Court of Esterhazy became looser with the succession of a new Count, and at long last he was able to capitalise on his fame and visit the remainder of Europe. In particular his music had become well-loved in London, and when the impresario Johann Peter Salomon called upon him at his home in Vienna to invite him to visit London personally to compose six special symphonies, he leapt at the chance, despite his trepidation at the thought of a fortnight’s journey through Europe culminating in a perilous channel-crossing. Before he left he and Mozart met to bid each other farewell; the younger composer expressed his fear that he would not see his mentor again, but by the saddest irony it would be Mozart rather than the relatively aged Haydn who would be dead within two years. Haydn was to stay in London on this first visit for a year and a half, directing the successive premieres of his symphonies Nos 93 to 98 from the fortepiano (forerunner, of course, of the pianoforte), with Salomon playing in the orchestra. Having returned home for Esterhazy commitments in 1792 he found himself commissioned by Salomon to write six more symphonies for a further extended visit to London. No 99 in E flat was completed in Vienna in late 1793, together with the Minuets of Nos 100 and 101, but the remainder of the six were written following Haydn’s return to London in early 1794. Since it was complete already No 99 was premiered on 10 February 1794 at a Salomon concert in Hanover Square Rooms, and the first movement was encored. Haydn was to remain in London until mid-1795, the last of the new symphonies, No 104, given in early May. Four of the final six London Symphonies have subsequently been given nicknames, the Military (No 100), the Clock (No 101), the Drum Roll, (No 103), and the London (No 104), but Nos 99 and 102 escaped that slightly doubtful honour. 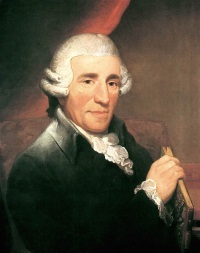 Despite the fact that Haydn was to continue composing until shortly before his death fourteen years later, No 104 was his very last symphony; safely settled back in Austria he was to move towards oratorio, producing, amongst others, the groundbreaking Creation in 1798, The Seasons in 1801 and the Harmoniemesse in 1802. The twelve Salomon or London symphonies continue the development of the form, progressing, for example, towards making the clarinet an ever-present member of the symphony orchestra where Mozart had used it sparingly – No 99 is Haydn’s first to use clarinets – and introducing trumpets and timpani in some slow movements. In the final six symphonies his wit and invention reach new heights, each symphony a total joy, cementing his acknowledged status as ‘Father of the Symphony’. As regards style, present performance practice in Haydn and Mozart tends towards leanness, with smallish string sections, but Salomon’s orchestra, it appears, consisted of at least sixty players. London’s love-affair with Haydn remained undiminished, and reviews both of the composer and the orchestra were consistently in the ‘rave’ category; of No 103 the Morning Chronicle wrote: Another new symphony by the fertile and enchanting Haydn was performed, which, as usual, had continual strokes of genius, both in air and harmony, and following the premiere of No 104 the same paper had: This wonderful man never fails; and the various powers of his inventive and impassioned mind have seldom been conceived with more accuracy by the Band, or listened to with greater rapture by the hearers, than they were on this evening. At this point Haydn was sixty three years old. As was his habit in these London Symphonies Haydn begins No 99 with a slow introduction, but whereas in some, such as in the vibrant Clock symphony, he leads the listener into expecting seriousness which then turns into music which makes the listener smile, here there is elegance with only a moment or two of minor-key unrest in the introduction; the first subject of the Vivace is both dramatic and celebratory, then the second theme, first violins and clarinet, brings the expected injection of charm. The development draws heavily on the second theme with injections of drama before the recap leads to a triumphant coda. The Adagio, slightly surprisingly in G major, begins delectably, its two related themes becoming a little more decorated as the movement proceeds, trumpet and timpani reinforcing the climaxes. As is often the case, the slow movement is the heart of the symphony. The E flat Minuet initially thrives on contrast between piano and forte question-and-answer, then in its second half briefly explores canonical development in which sections chase each other. The Trio, in C major, again sets aside drama for charm. Finally, the finale sweeps along in a sonata form which marries genial energy, sturm und drang (‘storm and stress’, which featured in many of Haydn’s middle period symphonies) and exhilaration, the development including parts moving in canon, contrary motion and inversion in a typically modest show of complete virtuosity. Rossini, as his music suggests, was one of the most flamboyant composers in the history of music; world—famous as a composer after just five birthdays, he retired from composing before his tenth birthday and subsequently became a gourmet of note, inventing, amongst other dishes, the steak dish Tournedos Rossini. You will have guessed, of course, that he was born on 29 February, and that his fame actually arrived when he was in his early twenties. By the age of 38 he had written thirty-eight operas, but in 1829 he put down his pen and wrote little thereafter except the odd private chamber work until his death nearly forty years later. 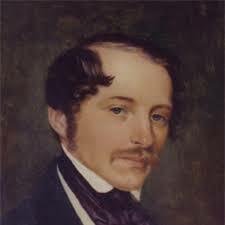 His masterpiece The Barber of Seville was written and premiered in 1816 when he was only 24 (6!) and in 1817 he completed no less than three operas, including The Thieving Magpie; where certain geniuses such as Beethoven laboured long and hard over their creations, chipping and honing their way towards perfection, Rossini achieved a reputation as one of the most prodigiously swift of all composers, although he was also known for world-class laziness, and the tale he told of the composition of the Thieving Magpie Overture is a prime example. Very often he recycled material from other compositions for his overtures but on this occasion he chose to write a piece which reflected the plot of the opera; unfortunately, as his story shows, he left it rather late: I wrote the overture to The Thieving Magpie on the day of its opening in the theatre itself (La Scala, Milan) where I was imprisoned by the director and under the surveillance of four stage hands who were instructed to throw my original text through the window, page by page, to the copyists waiting below . . . In default of pages, they were ordered to throw me out of the window. Semiramide (Sem—i—ram—i—day) is one of Rossini’s finest operas. Based, like Tancredi, on a tragedy by Voltaire and set in Babylon, the work is one of a series of more serious operas (Opera Seria) inspired by the dramatic sbprano Isabella Colbran, following his line of comic operas (Opera Buffa), which had included The Barber of Seville and Cinderella (La Cenerento/a). 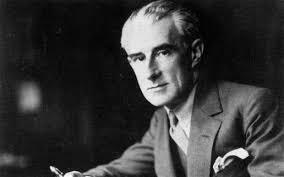 Colbran became his mistress and then his wife, and she created the principal female roles in many of his Opera Seria. The plot concerns Semiramide, Queen of Babylon, who wishes to marry Arsace and make him King, only to discover that he is her son. Eventually Arsace does succeed to the throne reluctantly when he kills Semiramide, “mistaking her in the dark for his rival Assur. The overture to Semiramide too is, fittingly, one of Rossini’s finest, again using material from the opera, making it un-recyclable. It begins with solo timpani followed by quietly obsessive lower strings and crescendi, then there is a beautiful horn serenade with pizzicato accompaniment in the strings. The Presto begins with first violins in a theme which is at once softly energetic and elegant and shortly punctuated by brilliant woodwind comments, which leads to a strident climax with flashing upward scales. The second subject, marching strings accompanying virtuosic woodwind solos, leads then to scampering first violins in Rossini’s signature crescendo towards a further climax with military brass and woodwind — not for nothing was Rossini known as ‘Il Signor Crescendo’. All this repeats in the home key before a tragic ending.